To Freeze Or Not Freeze? Why you ask, because there’s a better more comfortable way to minimize the bulge and reduce cellulite that will keep you warm versus cold. In the constant battle against the bulge, the JuVaShape Ultra and CoolSculpting are two of the best body contouring solutions available. However, deciding which one is best for you can be confusing, especially when reviews and advertisements for CoolSculpting seem to be everywhere and the impression that nothing else is out there that can help with stubborn areas on the body. JuVaShape Ultra is the ultimate in body contouring by Alma Lasers that can reshape, resurface, and rejuvenate the face and body. It is a state-of-the-art system that uses both ultrasound and radiofrequency (RF) technologies, to eliminate unwanted fat and tone and tighten the skin, while improving the appearance of aging skin. The JuVaShape Ultra’s patented technology is non-invasive, the focused radio frequency technology that delivers concentrated thermal energy to renew, revitalize and refresh the body and face. The unique ultrasound wave technology disrupts and damage the fat cells without affecting the surrounding tissue combine that with the focused radio frequency energy it helps to eliminate the treated fat and tighten the skin at the same time. The JuVaShape Ultra provides visible body sculpting results because it is the only treatment of its kind to use a “dual layer” approach. It treats tissue at two different depths through both focused unipolar & bipolar radio frequency. Your skin will actually grow thicker, tighter & smoother. Cellulite – Making a beautiful impression has never been easier by utilizing a combination of focused radio frequency energy and mechanical massage to treat cellulite. Wrinkles & Rhytids – Treating wrinkles and rhytids with deep or superficial focused radio frequency energy gives clients the confidence they need. Simply put: the JuVaShape Ultra utilizes patented technologies to reduce fat cells and tighten the skin. The process is a simple one, the ultrasound technology blasts the fat cells by heating the skin and melting the fat. Many clients compare it to a hot stone massage. If we are tightening the skin, the process is easy; focused radio frequency gets the collagen going and forces the skin to renew and rejuvenate. 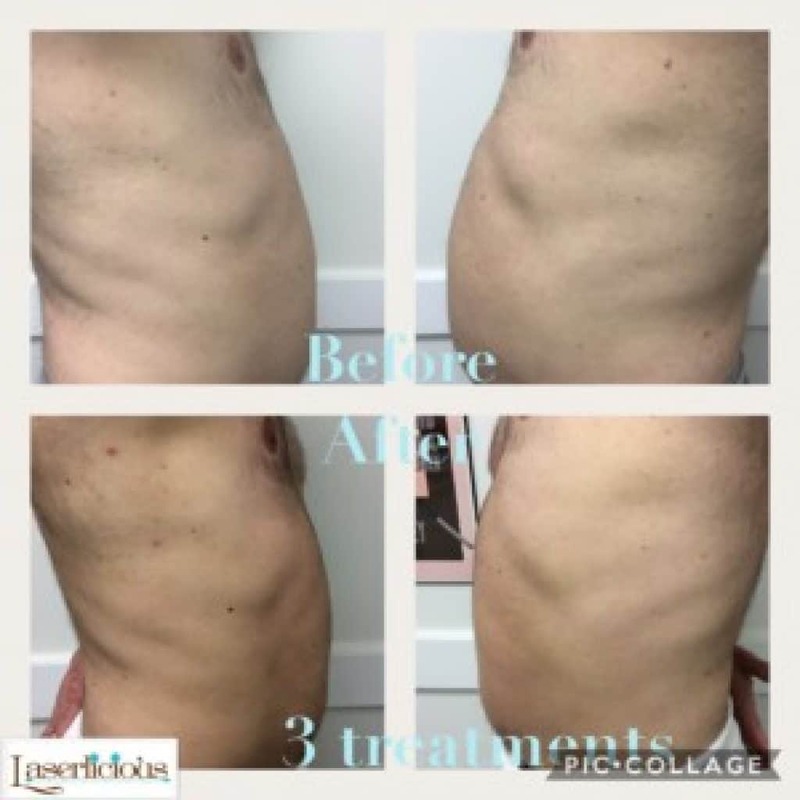 CoolSculpting is a non-invasive fat reduction procedure that utilizes a system of controlled cooling known as Cryolipolysis to destroy fat cells. The applicator is placed on the treatment area and slowly freezes the fat cells. The treated fat is naturally metabolized by the body within the following weeks. Though the process is a simple one, CoolSculpting can take up to two hours for a single treatment per area. Though some clients may experience some discomfort it is a long appointment for one single area. JuVaShape Ultra and CoolSculpting are both very good body contouring treatments, but what makes JuVaShape Ultra the better choice? Here are some important facts to consider. JuVaShape Ultra uses focused ultrasonic waves to destroy the fat cells. There is therefore no thermal damage as is the case when freezing the fat with CoolSculpting, or heating it using laser energy. This means that the JuVaShape Ultra is safe, comfortable and efficient. JuVaShape Ultra is versatile enough to be used anywhere on the face and body. CoolSculpting is best for patients with pinchable areas of fat, as the device has to pull the skin into the applicator pads. This means that the JuVaShape Ultra has little limitations when it comes to what areas can be treated. One treatment area for the JuVaShape is the size of a standard piece of paper. This makes body contouring affordable and effective for those clients who have a bigger area to treat. There is virtually no pain or downtime with JuVaShape Ultra. Clients feel so comfortable with the treatments that they complain when it’s over because it’s an enjoyable experience. Want to learn more about the JuVaShape Ultra – including if it’s the right treatment for you?